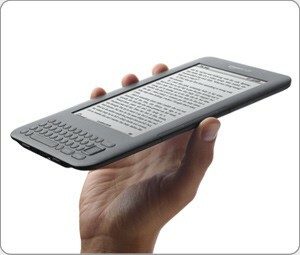 E-book readers, such as the Amazon Kindle, are great tools for Bible study. Here are five Bibles that would enhance your Bible reading and study on the Kindle. A free version of the ESV translation. This Bible has good navigation and a great price. The ESV Study Bible has lots of notes on the Biblical canon, how to study, theology, etc. It’s a vast wealth of study for less than $10. The OSNOVA Study Bible has about the best navigation of any Bible for Kindle. It’s designed for easy searching, is in paragraph format, and includes Treasury of Scripture Knowledge, How to Study the Bible for Greatest Profit, and Daily Bread. All for $4.99. A free version of the Holman Christian Standard version. One of the best study Bibles ever made (IMHO). The Archaeological Study Bible is a filled with archaeological facts about places, people, cultures, and more. Is there an eBible that allows you to make notes that stay with the verse? Such as, if I make a note about John 3:16, when I go to that verse, will the note be readily available. I do not want to have to scroll through several pages of notes to find it. Hi Barbara. The only ones I’ve seen are apps that have links to click on. A symbol will appear next to the verse to indicate a note has been written. I’m not sure if they will show both in parallel. I’ll see way I can find. Please change the typo of Biblical “cannon” to “canon” unless it talks alot about Biblical guns in the ESV. Sorry to be such a typo guy but misspellings undermine credibility of a review. Thanks.